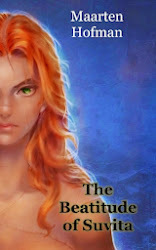 The third book in the Mar Enmig chronicles will be the Beatitude of Suvita. 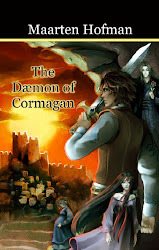 In time it is right after the Daemon of Cormagan, however, the book stands on its own (like the other two books in the series). In this book Suvita is trying to prevent a war between the Romans and the Cathar. I'm currently going through the book for a third edit, and hoping for more comments from people reading the book (if you want to read the current version, feel free to contact me). Marlon Teunissen is again drawing the illustrations for the book, of which two are already done.